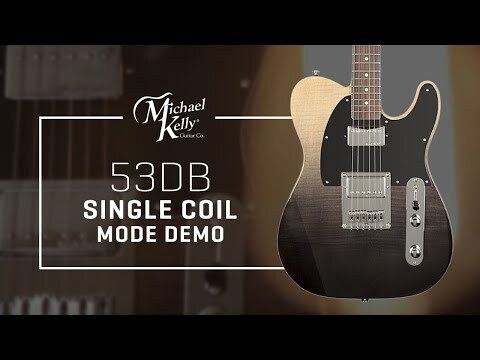 53DB | Michael Kelly Guitar Co.
Big tone and versatility are the calling card of the 53DB. 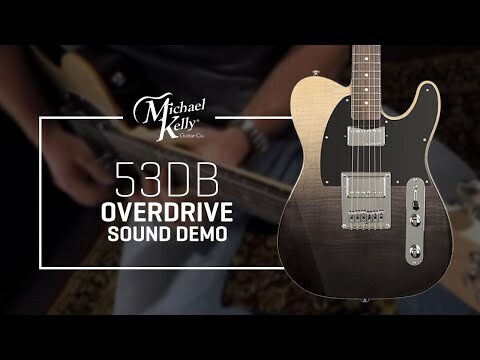 With a double humbucker configuration, you start with a full array of classic tones often missing from a guitar of this style. We then added our custom electronics modification called the Great 8 allowing you to switch those humbuckers into a single-coil tone. This is done using two provided push-pull pots. Have fun with these eight distinctive tonal options! The body on the 53DB is made from alder and has a great looking flame maple top. The instrument is feature-packed and fun to play; full specs below.